There is nothing better than coming home from your holiday to a box of free clothes! 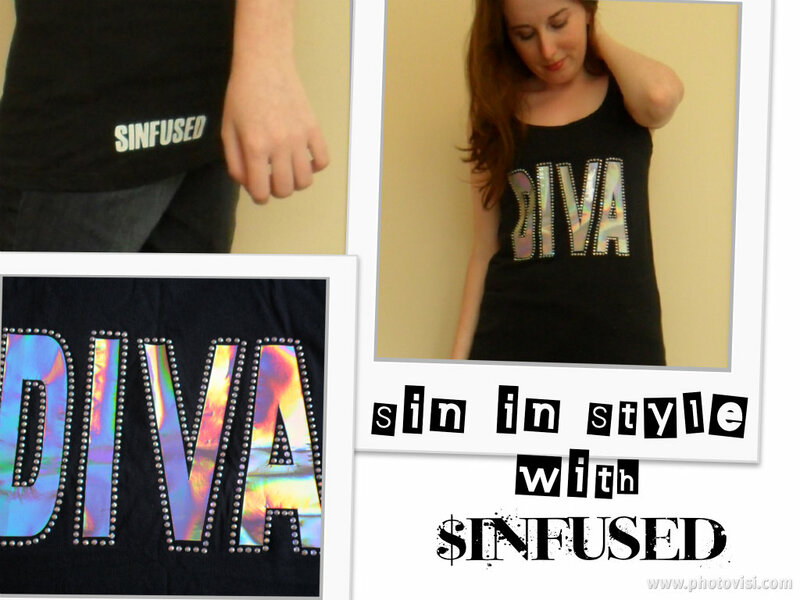 Thanks to the generous people at ‘$infused’ I now own the two gorgeous tops shown in the pictures below. I really like them and am now a confirmed fan of the Sinfused brand. Before I went on holiday a Sinfused representative e-mailed me to ask if I would be interested in some free products to feature on my blog. Obviously I said yes and I’m now very glad that I did. I hope you can all see from the pictures how eye-catching the tops are. If you like them as much as I do then you can head over to www.sinfused.com to grab one of the tops that I have or to see the other styles they have, which include diamante cars and guitars. So what do you think? Do you like the tops? Or are there any other Sinfused products that you fancy? You should comment if there is because there is a possibility that I may be able to host a competition for a free Sinfused product so please let me know if you would be interested in that. Also if you stop by tomorrow, as well as my usual type of posts I will style outfits based around my two sinfused tops so that you can see what I will be wearing them with and so that you can find some inspiration as to what to wear with any sinfused products that you like the look of.